Idée de sortie : vous avez envie de passer une bonne fin d'après-midi le dimanche 6 novembre 2016 ? 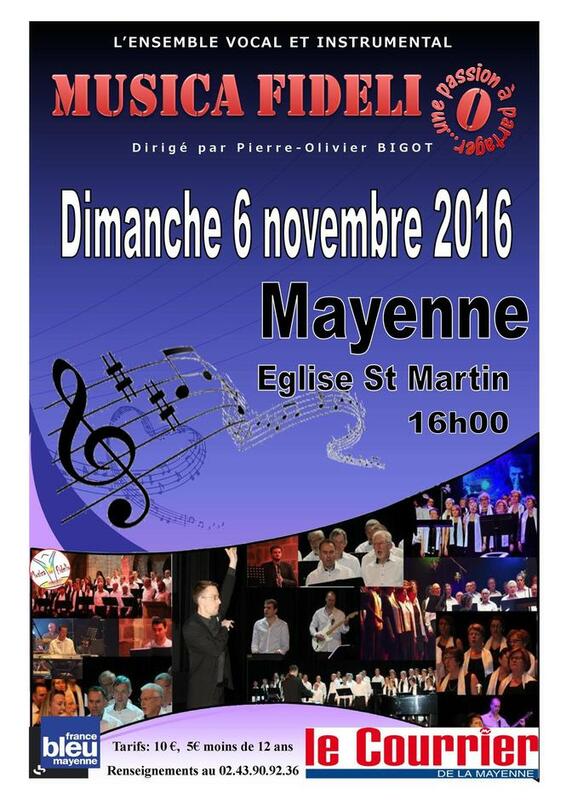 Musica Fidelio sera en concert à l'église Saint Martin de Mayenne à partir de 16h00. The post is really superb. It’s varied accessory information that consists during a basic and necessary method. Thanks for sharing this text. The substance is genuinely https://www.outclassjackets.com/top-gun-tom-cruise-leather-jacket composed. This web log is frequently sharing useful actualities. Keep sharing a lot of posts. This is clearly done. Anyway ill wait for another event.